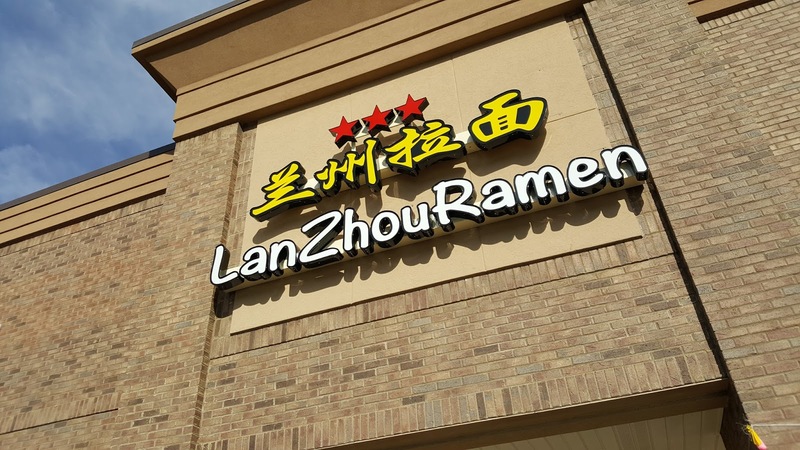 Lan Zhou Ramen is one of the new crop of restaurants on Buford Highway. 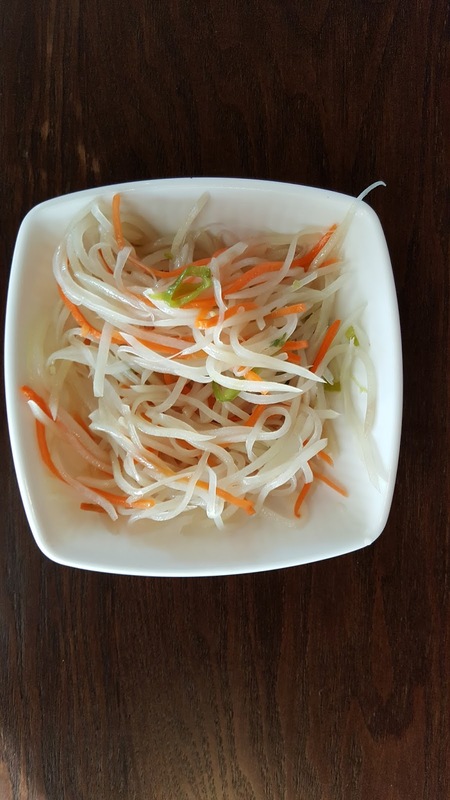 The space is large and a little dark; the service is very friendly and accommodating. 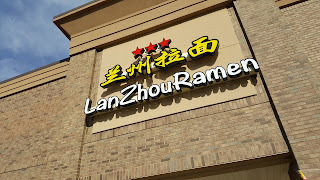 Lan Zhou is the city that originated hand-stretched noodles. A window in the kitchen allows everyone to see one of the cooks stretching noodles. He must keep pretty busy given the crowd. Here is the amuse bouche, pickled radish and carrot. 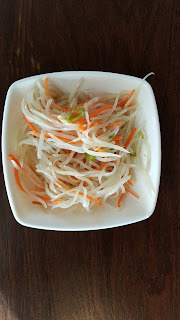 I always love these pickled vegetables. I of course had to try a noodle dish. I had my choice of soup or fried and I chose the pork noodle soup. 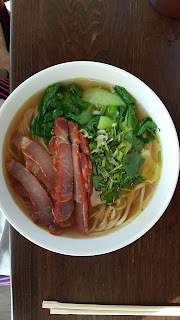 The noodles had that wonderful chewy texture that you get only with lan zhou noodles. The pork and broth were both very good. 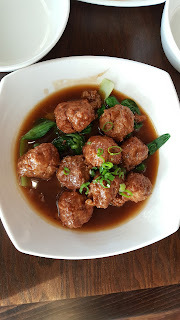 I didn't get a chance to sample these meatballs but they looked very good. The scallion pancake is always a fun snack. It goes particularly well with soup as a textural contrast. 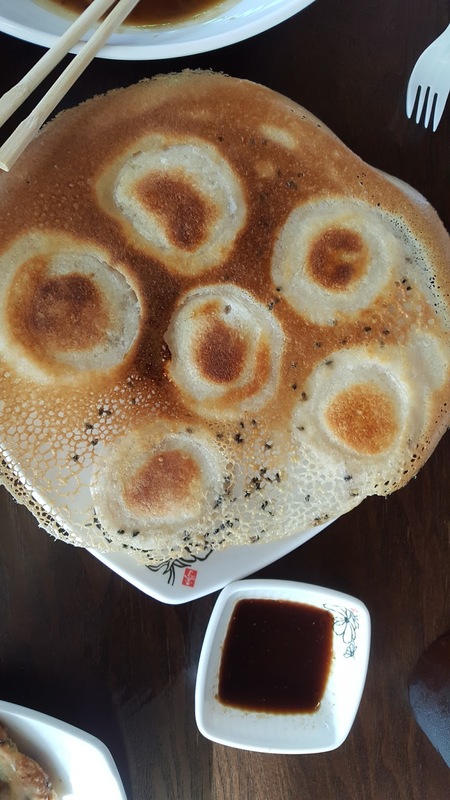 The owner suggested these Shanghai-style dumplings and they didn't disappoint. The filling is pork. 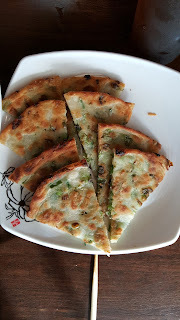 The outside is moist but with just a bit of crispiness and seeds for extra texture.